The town's name derives from the Lombard/Germanic word "wald" (wooded area). Municipality in the province of Perugia, located on a spur next to a plain area, whose territories are heterogeneous, composed of mountain, hilly and plain land areas. 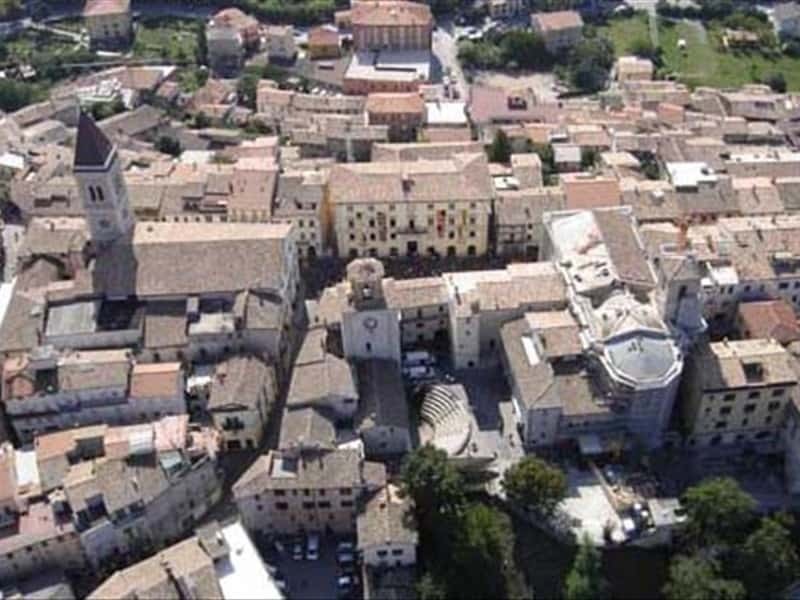 The main center still preserves beautiful sections of medieval walls and of particular interest are in the nearby the scenic districts of Rocchetta, San Guido and Valsorda. Gualdo is not only famous for the production of ceramics, but also for the salubrious properties of its mineral waters, bottled and sold Worldwide. Originally the area was inhabited by the Umbrians (an ancient Italic population). Subsequently colonized by the Romans, it became an important "municipium" near the Via Flaminia. After the fall of the Roman Empire, the town was ransacked by the Goths and submitted serious damage. In 552 A. D. , the surrounding territories were scenario of Battle of Tagina between Goths and Byzantines, which ended with the latter victorious. Subsequently the town submitted the Lombard rule, until it was destroyed by the Emperor Otto III and a later by a devastating fire. In the Middle Ages, a new center was founded in the first half of the XIII century, around a large Benedictine Church. Contended between Gubbio and Perugia, the town was assigned to the latter, until in the XV century it became a possession of the Papal States. - the Palazzo of the Podestà and the Civic Tower. This town web page has been visited 18,821 times.